​Besides being a doting and caring mother to Bentley, Jayde, and Maverick, Teen Mom OG star Maci Bookout is a businesswoman, as she and husband Taylor McKinney have their own clothing line. 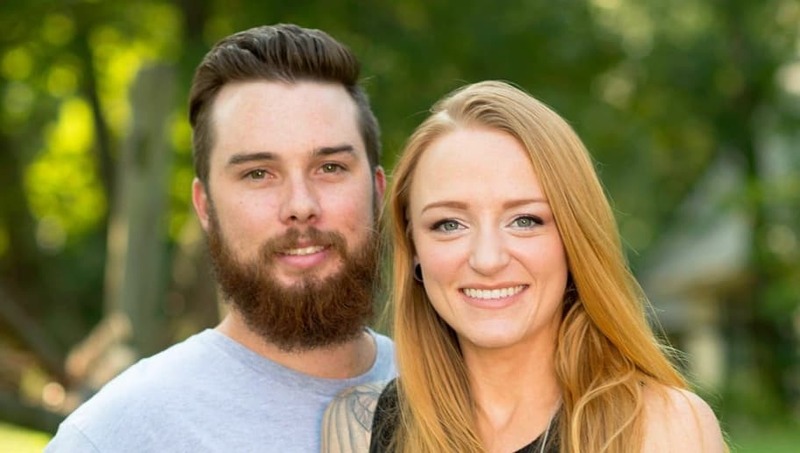 Although both the series and her family is priority for Maci, ​'Things That Matter' has become a career for the couple as well. The couple announced a couple of years ago that they would be buying 'TTM,' a clothing company which launched a few years prior. The 26-year-old reality star revealed Taylor wanted to own his own business for a long time, and invested in the T-shirt company in hopes of making it a huge success. Stemming from their fame on Teen Mom and social media following, there wasn't really any reason to believe the company wouldn't do well. What fan of Maci wouldn't want to wear her clothes? And although the line has met its fair share of backlash, the couple's bond keeps 'TTM' going. As shown on Teen Mom, the couple have suffered a few blunders while working on 'TTM,' namely when they realized "Los Angeles" was misspelled on shirts that were already sent out. In the episode, Maci flipped out when she learned they hadn't caught the mistake, as it was already printed and listed on their website. But the power couple pulled through and acted quickly, and their fans stood by their side. Despite any honest mistakes with 'TTM,' Maci and Taylor end up on top. The meaning behind 'Things That Matter' started with wanting to produce well made clothing that wouldn't fall apart, but it soon changed into the importance of things that matter in life, such as family and love. The genuine respect and love Maci and Taylor have for each other shines through in the brand, which sells cute tank tops, t-shirts, hoodies, and other various casual clothing. Matching the edgy/surf-like style of the two lovebirds, 'TTM' embodies young, independent people who value the good things in life. Maci even has a huge tattoo on her arm, reading "Things that matter." With her passion, the tattoo inspired one of their cutest hoodies, which has the same message on the arm like Maci's ink. There's no denying how much effort and hard work goes into 'TTM,' and they've even got their entire family involved, offering styles in kids sizes! 'Things That Matter' represents a wholesome message of morals and values, all while remaining cool and stylish. We applaud Maci and Taylor for maintaining this brand and for always listening to the fans. Check out the website ​here and get to shopping!